PHP is the top pick for developers when it comes to developing applications. Being a server side scripting language, it is powering more than 250 million websites and applications around the world. It is a highly scalable and stable platform and is thus preferred by developers around the world. What makes this ecosystem so powerful is the availability of a huge number of tools that ease the development process and help execute complex projects easily. 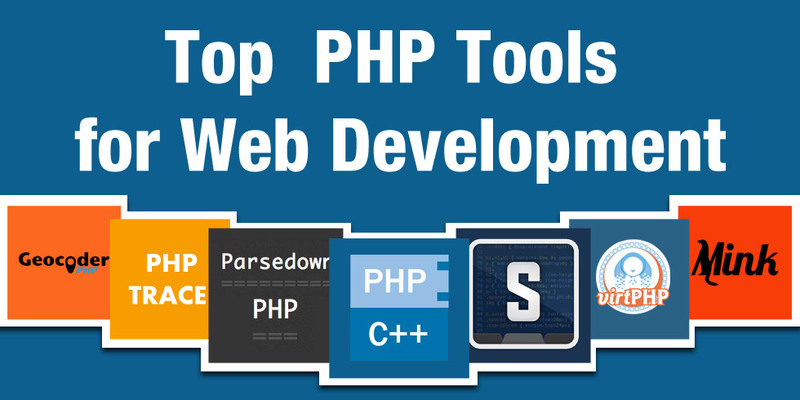 Here we list the top PHP tools for app development. It is counted among the top used PHP web development tool. The C++ library aids in developing PHP extensions and also includes a number of easy-to-use classes which are used by the developers to build different extensions for PHP. There are few code editors that match the agility and flexibility of SublimeText. This is a highly sophisticated text editor used for codes, markup and prose and at the same time offers you extraordinary performance. A wonderful tool this is used by developers to identify or trace and troubleshoot problems with PHP scripts. This tools sources all information onphp execute context and php function calls from PHP Runtime that allows developers to identify heavy-load problems and other bugs that are causing problems with the app. The most preferred tool for automatic parsing Markdown text, it ensures that the parsing is executed without any error. It also offers the opportunity to developers to write or paste the markdown text in a demo space. The interface is highly user-friendly and makes it one of the top tools. Geo-aware apps have gained immense popularity of late and this tool helps developers come up with inspiring apps that offer tailored information based on a user’s location. The powerful library allows developers to execute abstraction layer that allows easy geocoding manipulation using locational information of the user. With the help of this tool developers can easily create and manage isolated PHP environments on a single machine. Here developers have the option of creating as many isolated environments as they want and use it to run different PHP projects. Developers can use different versions PHP in case the system runs more than one version of PHP. It offers developers a great testing environment that allows them to test apps’ compatibility with all major web browsers. This ensures that the apps reach to widest section of the customers. This robust PHP library helps developers do away with API conflict issues with different browsers and generate browser compatible codes. To get the best out of PHP development, you need to hire the services of a professional PHP development company that has the expertise to deliver results. At Semaphore Software we have more than a decade of proven track record under our belt and have been helping small and large businesses establish a strong presence in the market. To know more about possibilities with web and app development drop us an email at info@semaphore-software.com.